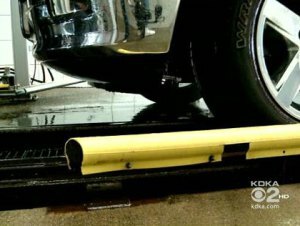 The local CBS station in Pittsburgh did a great story on how brake lines are rupturing due to external corrosion. While the winter in the Mid-West has not been a record setting year, it has been a very wet winter. These conditions are causing the corrosion of brakes lines at an alarming rate according to Blum Boulevard Automotive. What this story does best is show how critical technicians and shops are for repairing brakes. It also does a great job at explaining why these repairs can be so costly. This entry was posted in Tech and tagged brake, brakes, lines, salt, Video, winter by Calvin. Bookmark the permalink.